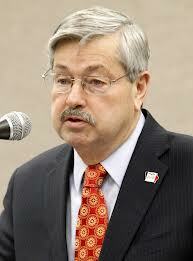 Let’s face it Iowans, this guy is a far right winger; he just sounds better than most when he does things like this: After joining in the hate and fear crowd last week, Branstad Monday said maybe he’d let some Syrian refugees into Iowa if that gawd awful US House SAFE Act became law knowing full well it never will. See, Branstad once again sounds almost rational tying his pretense at being rational to something that he know will never happen. Refugees from previous disasters should be giving thanks that today’s Republicans weren’t in charge when their families were in need of help. Good Old Chuck (and I do mean old) is doing everything he can to stop our government from functioning by stalling any appointments to both the State Department and the federal judiciary. That is in using his capacity as as chair of the Senate Judiciary Committee for politics to keep Hillary Clinton from being president. Who can forget his role in the Affordable Care Act where he fought hard to keep poor Americans from getting health care. Republicans love their phrase “run the government like a business.” If you were a share holder in a business where a group of vice presidents is working hard to undermine the business and set it up for a hostile takeover rather than making the business healthy, what would you do? As a citizen, you are the Board of Directors for the government. Will you vote to retain a vice-president (Senator) who at every turn tries to undermine the operation and cause the business of the people to be done? Racism: Trump forges back to the 50s? America’s original sin is slavery. The enslavement of people of color needed justification by proving that the enslaved were not human in any aspect. This is the basis of racism. Legally, enslavement ended following the Civil War and the passage of the 13th, 14th, and 15th amendments. In reality enslavement through racism has been a part of the American social structure since the Civil War. America was making some strides to combat racism, but the election of a black president and the campaign to delegitimize him as a “real” president once again unleashed the worst demons of racism. Now Donald Trump’s campaign seems to be capitalizing on racism’s re-emergence as he demagogues, and violent incidents against minorities are linked to his campaign. Over the weekend a person from Black Lives Matter was assaulted as Trump railed against Muslims. Another in a growing list of incidents that follow the Trump campaign. Somehow, Trump leads and has led Iowa polls from the start. Says buckets full about today’s Iowa Republican Party. Is it a conspiracy to make Rubio look good? Trump’s racist demogoguery, Carson’s goofiness, Fiorina’s lies, Bush’s total incompetence, Cruz’s extremism, Kasich’s blandness – are the Republican candidates each in their own way trying to look so bad that eventually the only one that looks rational by comparison will be Marco Rubio? Is it some kind of a conspiracy to make a really bad candidate in Rubio look good because he isn’t as totally obnoxious as the others? The corporate media then can build a myth around Rubio not being nuts and therefore presidential material. This very low standard for a presidential candidate that is Republican will still get that candidate 45% minimum of the vote in 2016. There was unction in the extreme, and no little sanctimony, and the now very familiar recitation of the dystopian landscape created by eight years of the Obama Administration and of the nearly unstoppable acceleration of the handbasket taking the country to hell. The Savior was summoned on a number of occasions, not all of them relevant to his gospel mission on Earth. But the real meat on the Thanksgiving table got served up when Luntz wrenched the discussion away from sacred platitudes and into the realm of national security and foreign affairs. The clouds of incense were dispersed. The preacher masks all dropped. To a person, the seven Republican candidates came right up to the edge of accusing the president of the United States of treason and of being in sympathy with the murderers in France and in Mali. Right up to the edge, they all walked. Then they winked and took baby steps back, but everybody in the hall, all of the good Christians who’d come out in the snow, got the message. This is gamey, awful stuff, reminiscent of the charges back in the 1950s that Dwight Eisenhower was a Communist dupe. But this kind of thing is thoroughly mainstreamed now, so much so that they don’t even have to say it outright any more. It’s been a long time since it was considered cricket to discuss a sitting president in terms like this in a political campaign but, as has been the case since 2009, the usual rules do not apply to this president, and this campaign is nowhere near as ugly as it’s going to get. It changed over the last two weeks, and all of the well-dressed friends of Jesus at the Thanksgiving table there on stage have declared themselves along for the whole damn ride. My thought for this week. I would echo what Bernie Sanders called for many months ago. Early debates should not be separated by parties. All candidates should be put on a stage together so we could see early on the differences between the parties and the issues. Right now the stench coming from the Republican Party as it reaches out for the most extreme voters and the richest billionaires is overwhelming. This entry was posted in 2016 Election Campaign, Barack Obama, Bernie Sanders, Branstad, Charles Grassley, Humor, Republican Obstruction, Republicn Policy, separation of church and state and tagged Charlie Pierce, Family Leader, racism. Bookmark the permalink.